Since I hadn’t visited in eight years, touching down in Delhi for the second time was like arriving in a foreign land. Opening the curtains in our hotel room the next morning, set high atop the city, looking out over lush treetops, I felt the familiarity of the city wash over me and I headed out to reacquaint myself. Delhi is a mecca for shopping, offering a variety of locations from traditional malls to small handicraft shops to bustling outdoor markets. I visited a variety of these and the local markets are by far my favorite. Who travels to the other side of the globe to go to the mall? Chandni Chowk, a local market in the heart of Delhi, across from the Red Fort, is a labyrinth made of narrow passageways, lined with tiny shops selling party supplies, beads, garlands and intricate trims. You can take a rickshaw ride into the market, which most tourists do, but on foot you’ll be able to maneuver a lot better. On the outskirts you can also find local clothing stalls and vendors cooking up fragrant meals. I picked up some old, very unique coins from a vendor selling them on the sidewalk. 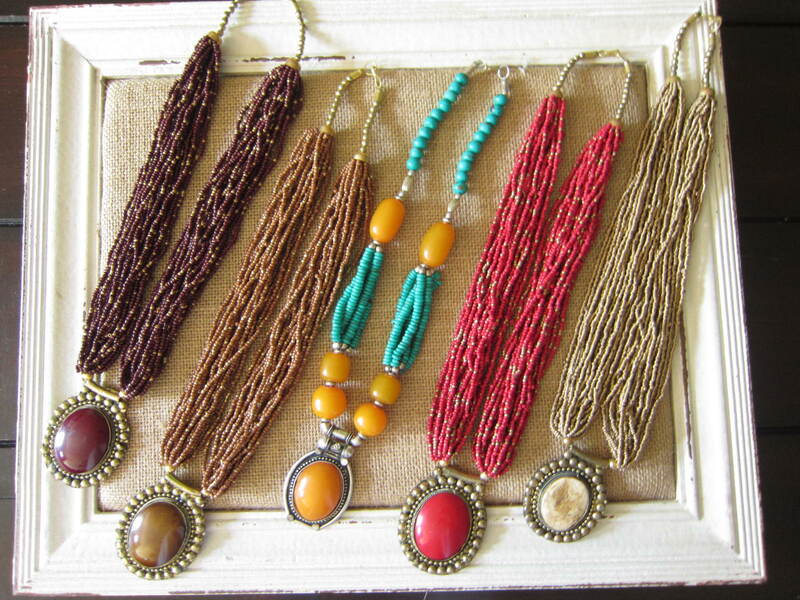 It wasn’t something I was looking for but I thought they would be interesting to make jewelry out of. Chandni Chowk is a chaotic, dusty whirlwind for the senses. 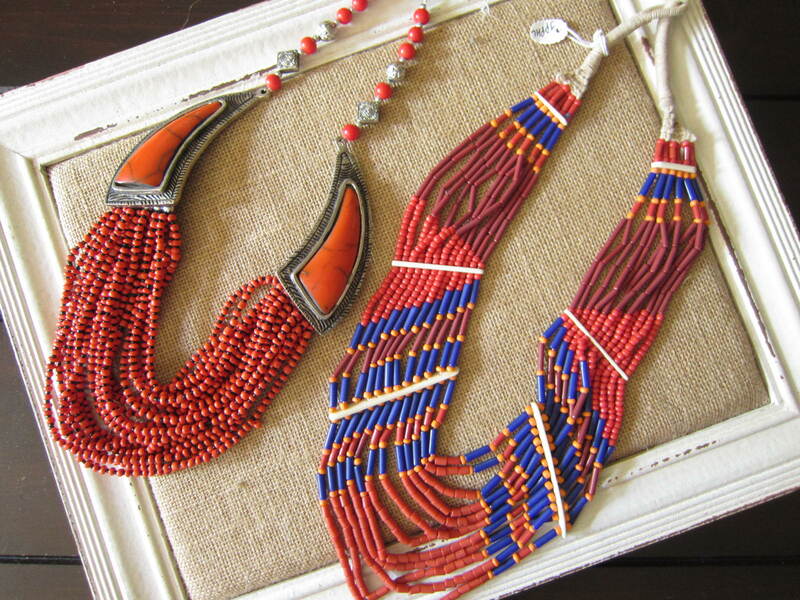 If you are a crafter or seamstress I highly recommend visiting to pick up the very unique trims they sell. Don’t go too early in the morning as most stalls open mid morning. If this isn’t your thing, I would steer clear and head to some of the other local markets where you’ll find more variety of items and have a bit more breathing room to shop comfortably. 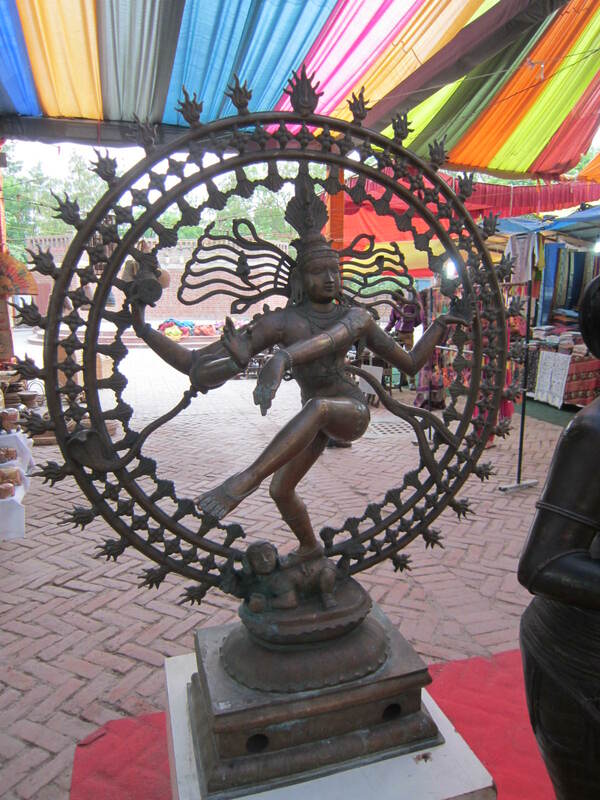 Dilli Haat, located on Aurobindo Marg, is a market that specializes in local handicrafts. The stalls here and the layout remind me of a flea market in the U.S. There is a nominal entrance fee as well as stalls selling refreshments inside. 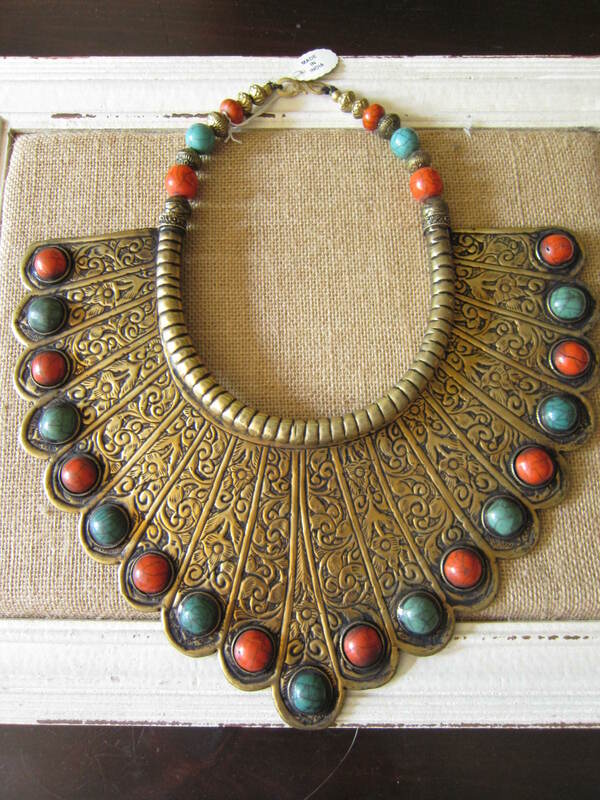 This is a clean, organized market offering clothing, jewelry, leather goods, brass sculptures, paper mache items, local paintings and authentic Pashmina shawls from Kashmir. They had a good variety of items to choose from, but overall I thought the pricing was a bit high and many of the stalls are selling similar items, which gets a bit monotonous. I bought a bunch of small items that were priced very reasonably in one of the indoor shops right near the entrance to the market. 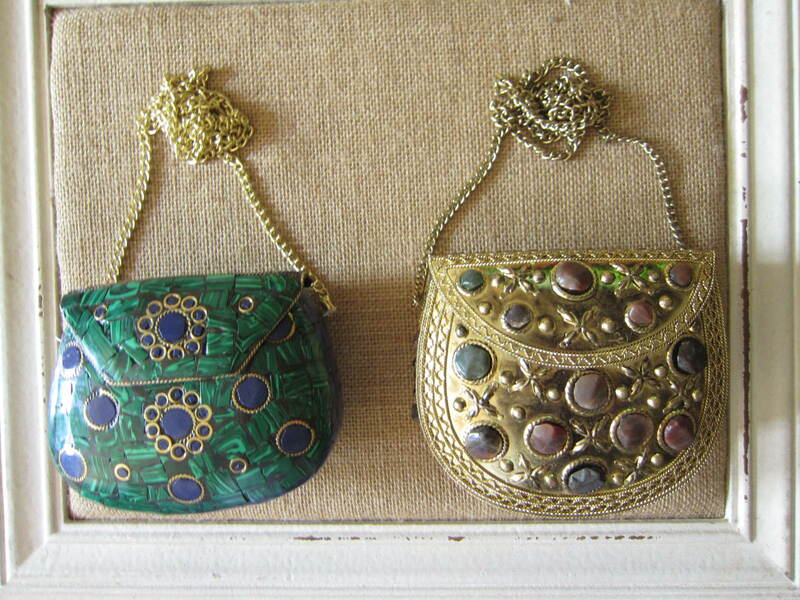 They had a great variety of gift items, such as paper mache jewelry boxes, mirrored key chains, journals and jute coin purses. 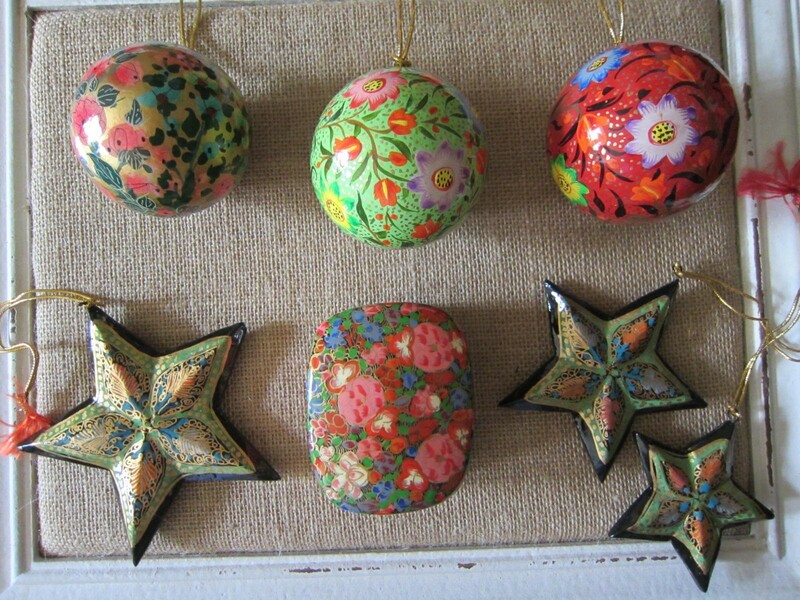 I was happy to pick up some hand painted ornaments to add to my travel inspired Christmas tree. 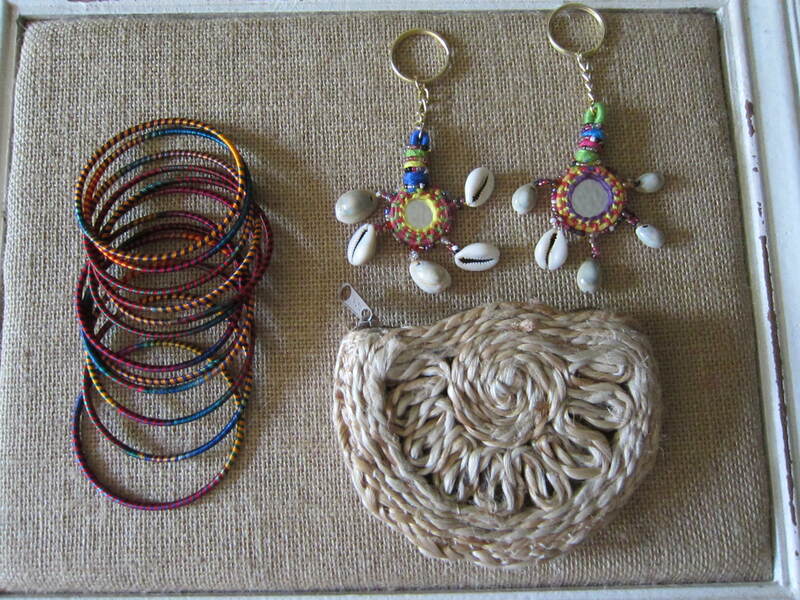 I also picked up some thread bangles which I have been wearing often since I returned. Janpath Market was by far my favorite shopping spot in Delhi. 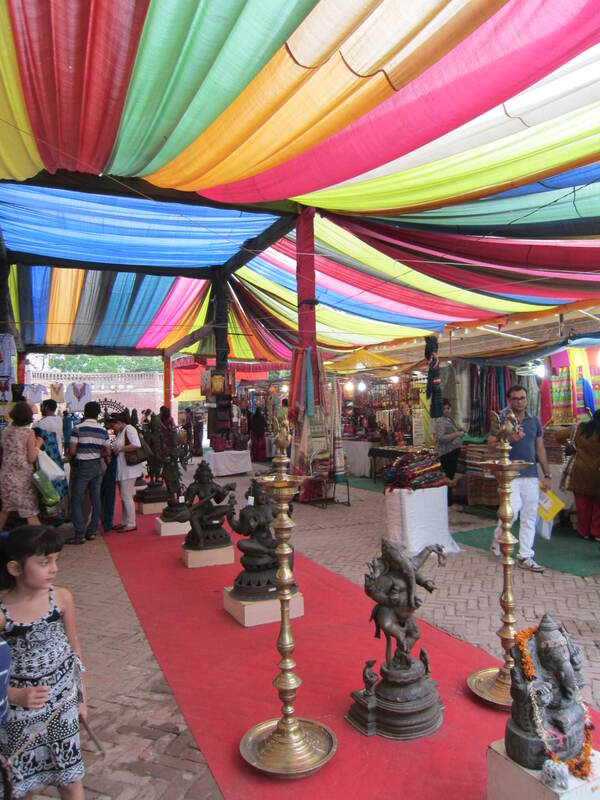 Under the cover of big trees and among the breeze, you can take your pick of items from textiles, linens, beaded handbags, costume jewelry of all kinds, scarves and loads more. There are small shops/stalls lining the streets as well as sellers with their wares set up along the sidewalk. 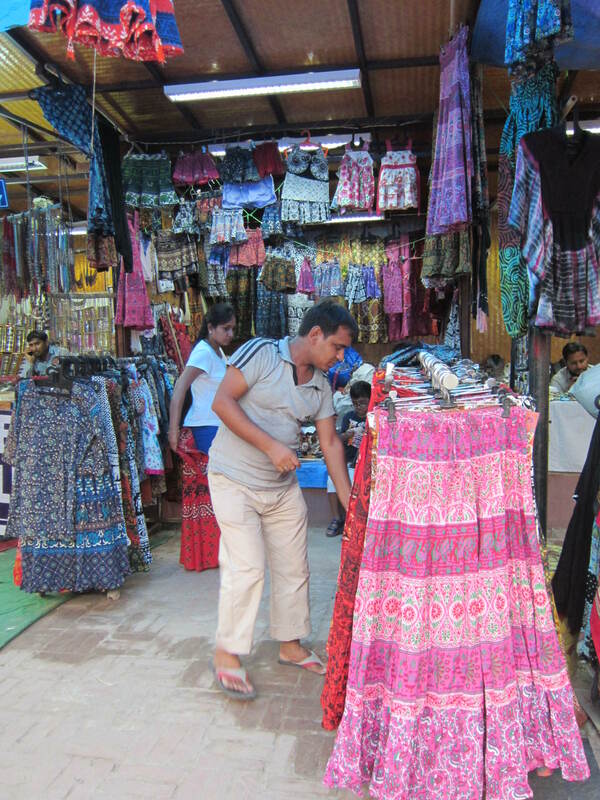 The variety is wonderful here and you have the bargaining gods in your favor as the sellers need to be competitive to keep you from buying the same item from the vendor next to them. 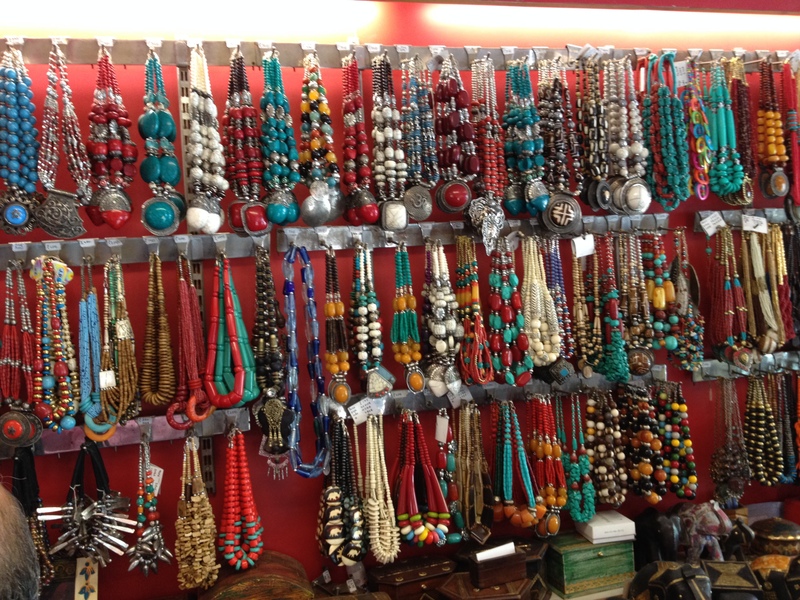 I fell under a spell in a jewelry shop that sold costume, tribal and traditional Kundan Indian jewelry. 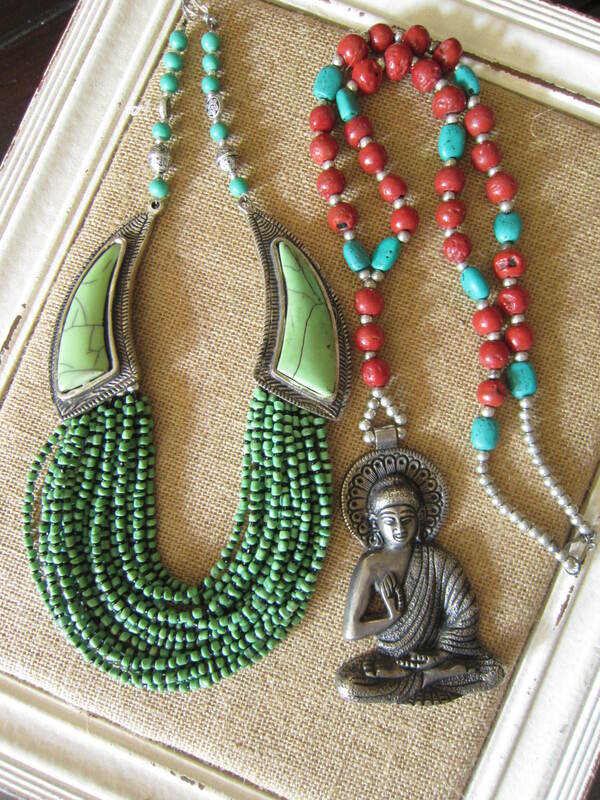 I was in my shopping groove and found loads of fun and eclectic jewelry pieces for great prices while my friend was mesmerized by all the scarves and did her own damage in another shop. 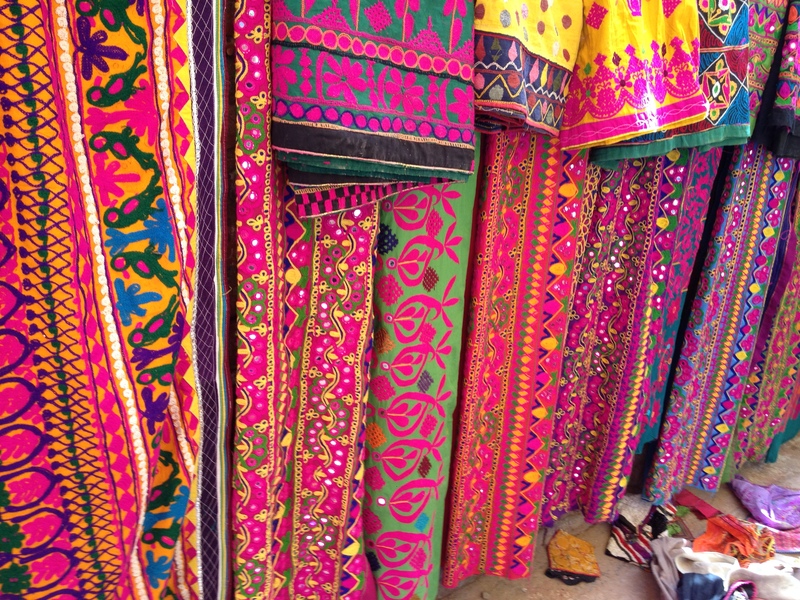 The streets are brimming with vendors selling one of kind handbags, clutches and bedspreads made of saris and covered in detailed beading and mirror work. There is a lot to choose from but it never feels overwhelming. This is my favorite purchase from my entire trip! Don’t know where I’ll wear it but had to have it! 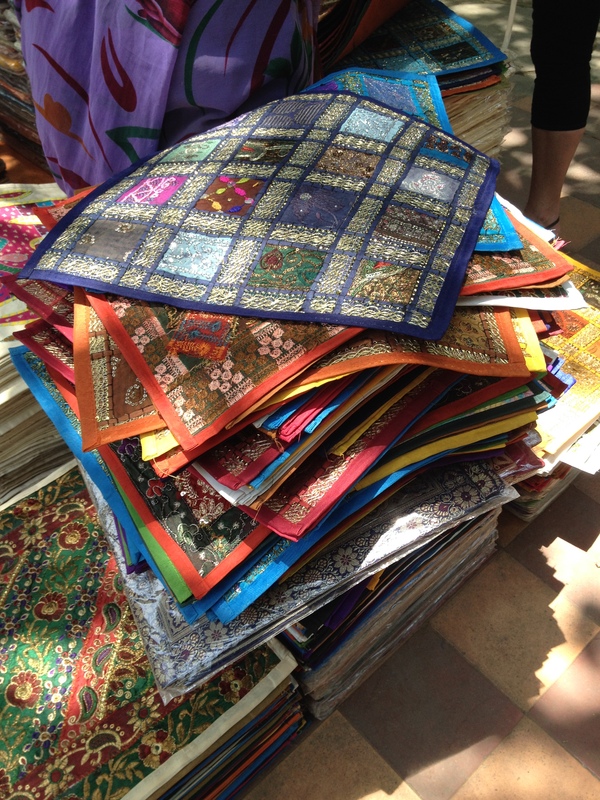 I know that I have only scratched the surface of the shopping scene in Delhi but with each visit I learn something new and it’s a never-ending reason to return! – If you love something, buy it! 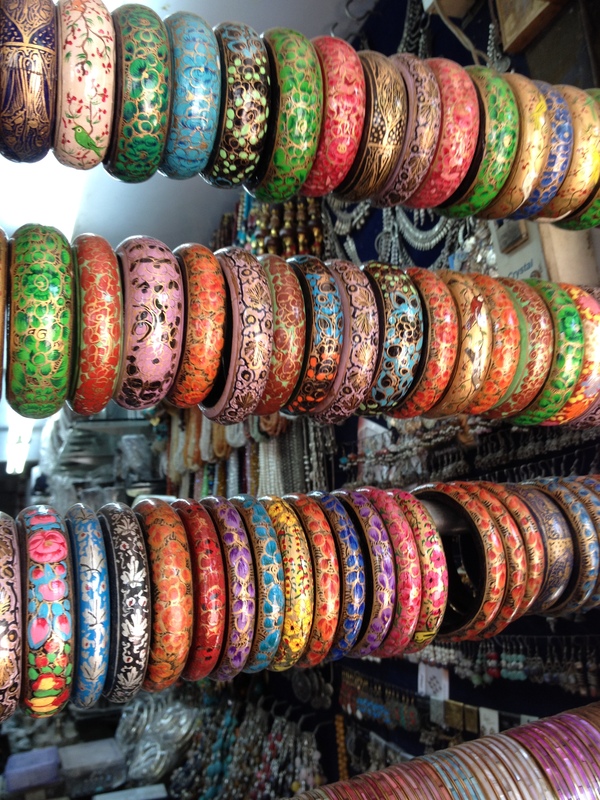 I made the mistake of thinking I could find certain items in other cities for less and ended up without a few clutches and hand painted bangles that I loved, because I didn’t find them anywhere else. I’m still dreaming of those items!! – Take a combination of cash and credit cards. 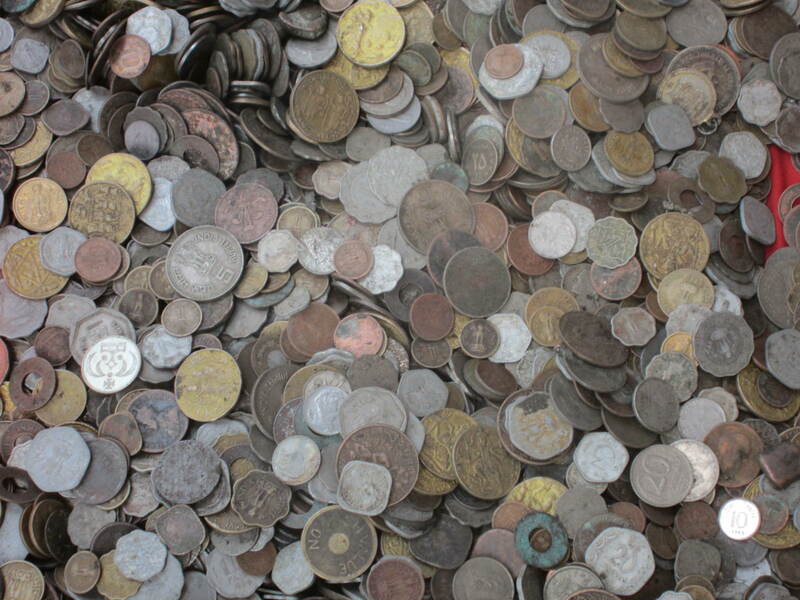 Some shops will take cards and you have recourse with your card if you have a problem, but most vendors deal in cash. I took U.S. currency and converted as needed. I found most merchants would change money for me, based on the daily exchange rate in the local paper, which was always better than the rate at the hotel. – Bargain hard!! 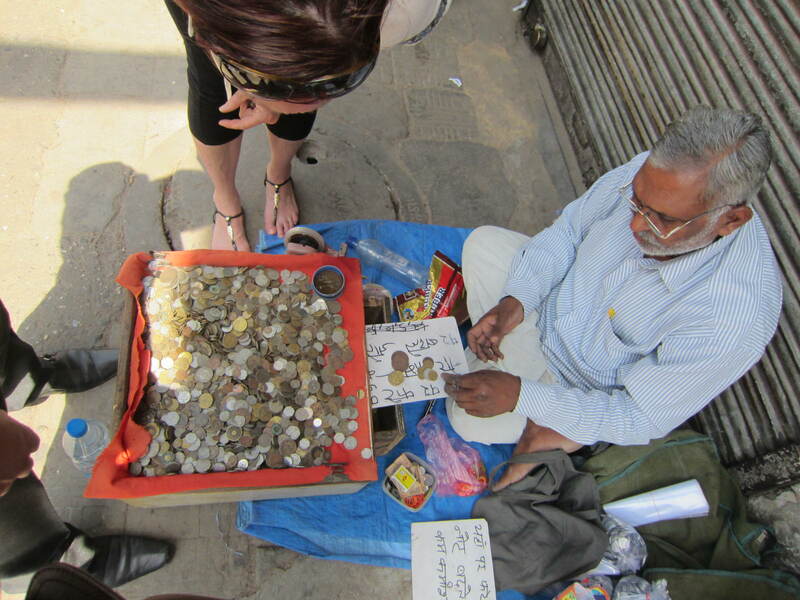 India is a country where haggling is expected, especially with the vendors on the street. Don’t show you love something (we used code when talking about what we liked), though I am pretty sure they figured it out! Every situation is different and you have to use your instinct when deciding what you want to pay. Some sellers will act insulted or mad with what you are offering, but I learned this is often part of the haggling dance. So, dance away! Seems like a wonderful place to be! Will be excited to see your coin jewelry !! Yes, it is! I love India! 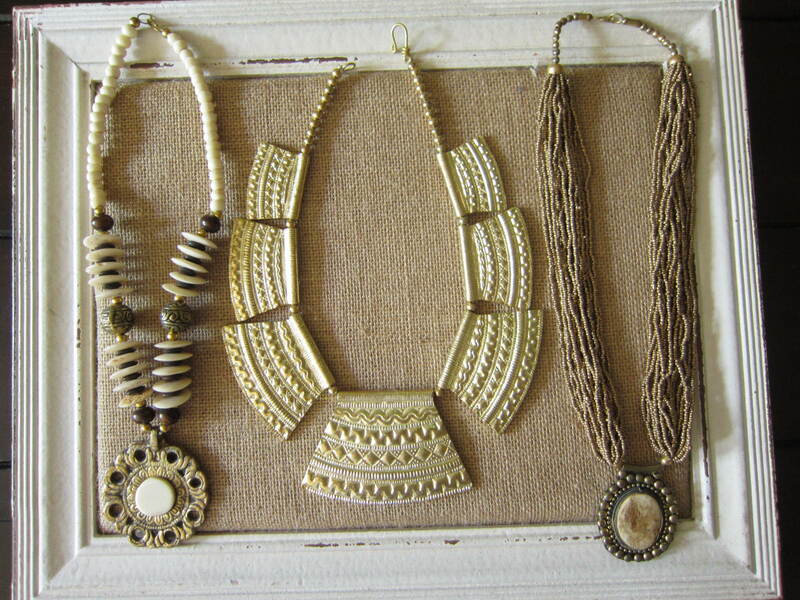 We’ll see what I come up with on the jewelry front! Thanks for reading and commenting, as always! 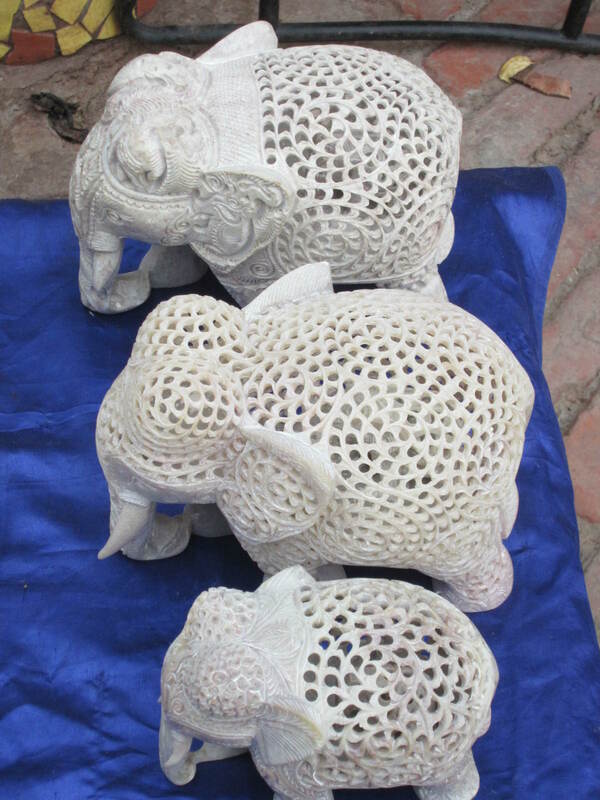 It really is a beautiful country that has amazing handicrafts and artisans. 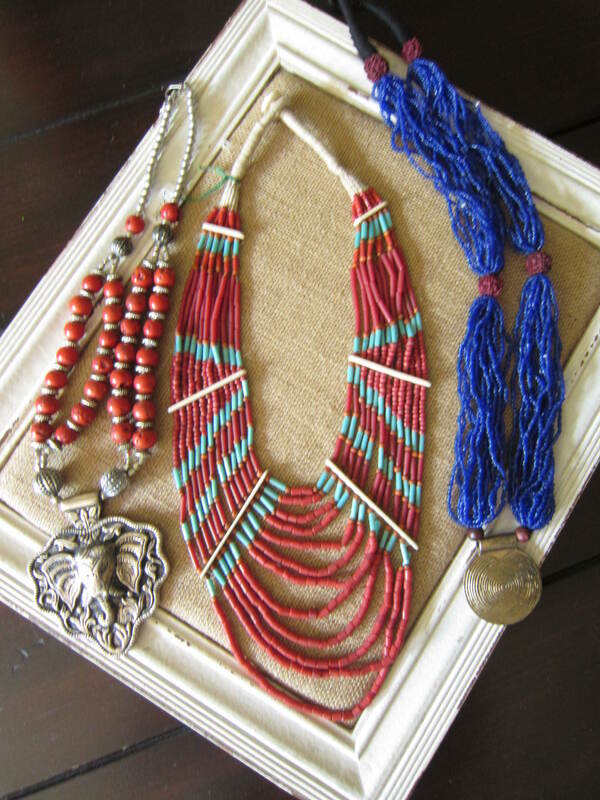 I’ll be sure to share the jewelry I create! It is some of the best shopping in the world? I can’t wait to come back! That is the prefect description! I’m counting the days until I can go back! Thank you for so nice post! 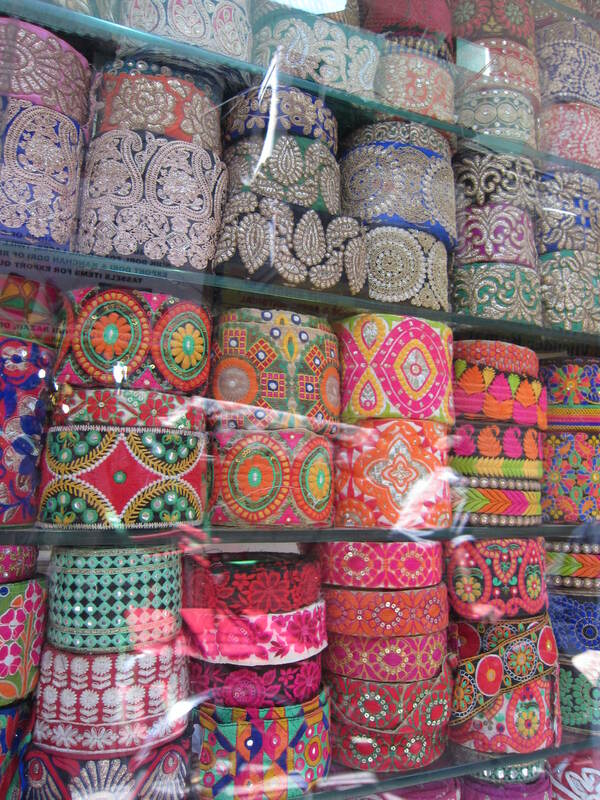 I remind mine visit to India – there so many bright colours on that markets. Most of all I liked that white carved elephants with one smaller inside. I hardly imagine that painstaking work to create such masterpiece.